Summer is here and our team has been out and about working on a whole host of exciting projects in and around Dublin. We work hard to maintain our position as the leading stone and masonry cleaning experts in Ireland. Here are a handful of the projects we are have been involved with recently. We were commissioned to polish around 200m2 of concrete flooring in the new Facebook building in East Wall. This new office, which will be the second Facebook location in Dublin, might start a new property boom in Dublin’s east industrial area and will certainly be a great addition to this blossoming area of the city. P Mac also worked on another new construction, the new MetLife Building in Galway. 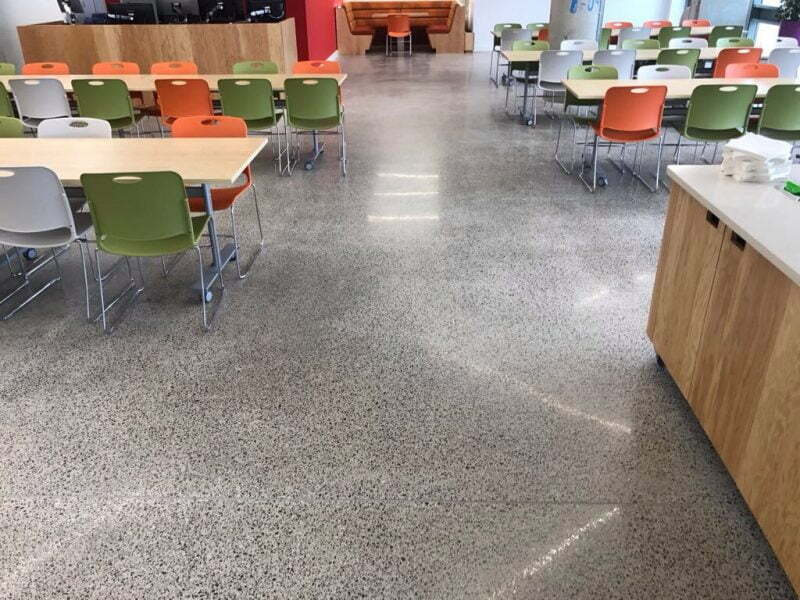 The client asked for 600m2 of concrete to be polished at its new technology campus. Another concrete polishing job gets underway at a fabulous passive house in Wicklow. These types of project are really exciting for our team, and it also gives us a chance to make our presence felt in other cities around Ireland! 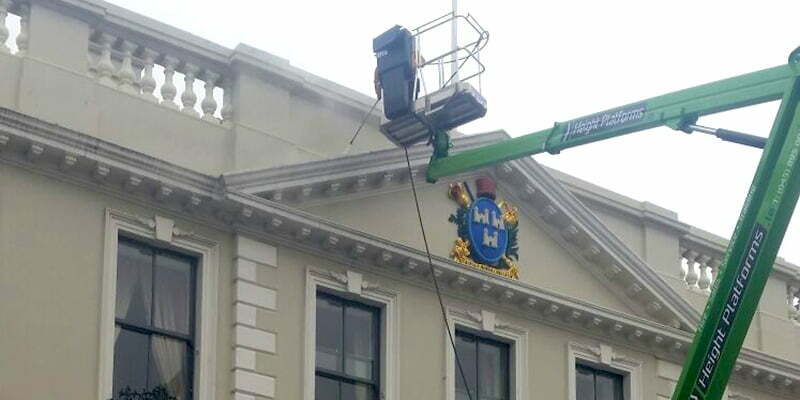 Meanwhile, some of our operatives worked on removing paint from the Archbishop’s Palace and another crew cleaned the facade of The Mansion House for our New Lord Mayor. As Heritage Contractors, it is a pleasure for us to work on these remarkable, historical and beloved buildings in Dublin. You might also spot us working on one of the most iconic buildings on O’Connell Street, The Gresham Hotel. We will be cleaning and carrying out repairs on the sumptuous front entrance only for the moment on the hotel which has recently been taken over by Riu Spanish Resort hotels. This is only part of a much larger plan to clean the entire facade of the building, which will have an enormous positive effect on this part of the city. The floor team will also be busy out and about polishing and restoring marble floors in residential homes across the city and carrying out floor restoration works at St Helen’s Radisson Blu. Brick restoration and conservation works are ongoing at a stunning Victorian villa in Dún Laoghaire–Rathdown. Our team are currently doing an excellent job completely restoring the entire facade. They’ve had a busy few weeks raking out and repointing all the mortar joints at the property. Our gifted craftsmen are also there all summer carrying out extensive repairs to the red brick facade and restoring and conserving the Romanesque cement ornate window surrounds. A team of two operatives got themselves into a sticky situation, removing layers of glue residue to reveal a stunning quarry tiled floor. The client discovered the tiles when he lifted the carpet in a property he had recently acquired in Blackrock. The biggest part of the job was removing layers of old glue residue from the different carpets and floor coverings that had been laid over the years. However, it turns out that all these coverings have really protected the tiles and we are delighted with how they are coming up! 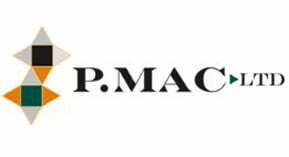 And you might also see the P Mac van in Drumcondra, carrying out repairs at Drumcondra Bridge. We had to remove the granite capping carefully to allow us to remove broken balustrades. We brought the damaged balustrade to a forge to re-cast new ones which we will then re-fit. Another great partnership with Dublin City Council. We love having such a busy and varied job schedule. The variety of services we offer ensures that no two jobs are ever the same. We love having the opportunity to work on restoring and conserving historic buildings around the city, but we are also proud to be involved with a new generation of contemporary and eco-friendly projects. Each job is undertaken with as much pride and care as the next one. Follow us on Twitter, Facebook and LinkedIn to keep track of our progress!